Bulldogs make great companions and are often ideal family pets. They often get along well with children and adults alike, but they may not be for everyone. Find out if a bulldog is the right pet for you. 1. You love spending a lot of time with your snuggly pet. 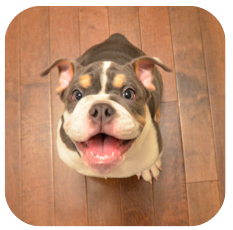 Bulldogs generally crave attention and will not be their adorably happy selves without it. So, if you’re considering making a bulldog the next member of your family, make sure you are prepared for them to be just that. They like to know that they are just as important to you as you are to them. Lots of snuggle time, walks with their master, games of fetch, and just relaxing on the couch with the rest of the family will make them happy, secure, and content. 2. You’re prepared to keep them clean and cool. Because of their unique anatomy and physiology, bulldogs require a good bit of regular attention to hygiene and health. Their adorable wrinkles need to be wiped clean regularly to avoid infection and rashes. 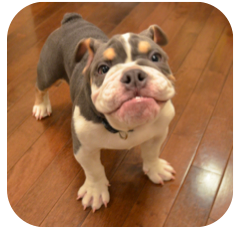 In addition, most bulldogs (the Olde English bulldogge is an exception) have short noses and constricted nasal passages, and are therefore unable to regulate their body temperature effectively. So, you should be prepared to make the time and effort to keep them cool in the summer months. 3. You don’t mind a bit of slobber. 4. You’re educating yourself about dominance. Most bulldogs today are far removed from the aggressive bull-baiting temperament of their 1800s ancestors. That said, their lineage and powerful bodies do make them capable of serious aggression if repeatedly provoked, or if they are in an environment in which they feel the need to be dominant. So, clearly establishing boundaries and the fact that you are in charge is absolutely essential. If you have a generally passive personality, the bulldog is probably not the right pet for you. 5. You’re prepared to invest in proper vet care. Like all pets, bulldogs need regular veterinary check-ups and have some predisposition toward certain health conditions, such as hip dysplasia and spinal diseases. Some breeds also have a tendency toward eye diseases and allergies. X-rays, screenings, and close observation of your bulldog is essential to make sure they get the care they need to live a long and happy life. 6. You have time to train him properly. 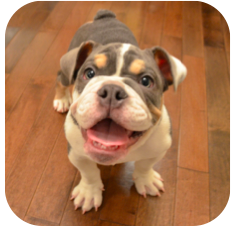 If you’re adopting a bulldog puppy, you will need a lot of time and flexibility in your schedule for at least the first six months for crate training, early socialization, and bonding. Just as you would with a baby, you may be short on sleep and need to train your own patience to give your puppy lots of love and attention, make sure his crate is cleaned regularly, and potty train him appropriately. And the more you can take him with you to interact with friends, the better. A bulldog puppy is not for those low on patience or with an 80-hour work week. 7. You are excited to introduce your pet to your friends and neighbors. 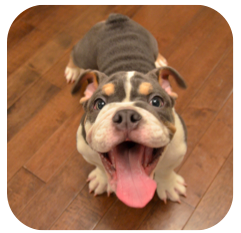 Bulldogs require early socialization with many different types of people, including adults and children. Getting your pet around as many people as possible early on will help ensure that he learns clear boundaries and appropriate behavior with strangers. And it doesn’t stop there. Bulldogs like to be in on the action, and will be unhappy if they feel left out. So, be prepared for your bulldog to be an important part of your family and social life. 8. You don’t have other pets. While some bulldogs will do well with other pets around, training them to understand that they do not need to be dominant can be very challenging with other pets in the home. Many bulldogs can be aggressive with other dogs. While very diligent owners can prevent this, most bulldogs will do best and be happiest being the only pet in your household. A possible exception is the French bulldog. They tend to get along well with other French bulldogs, and many bulldog lovers own more than one. 9. You’re teaching your children proper behavior with dogs. Many people wonder if bulldogs are good with children. And many bulldog experts will tell you that no dog is universally good with all children, even though bulldogs generally create wonderful, loving bonds with kids. A good way to look at it: bulldogs tend to be good with children who are good with bulldogs. While bulldog owners must establish clear dominance, they also must take the time to teach their children proper behavior around dogs. Loving, playful, nurturing time will generally be well received. Excessive taunting, teasing, and in-your-face behavior can provoke aggression, as it would with any animal, including the human animal. 10. You have access to greenspace. Bulldogs like to snooze on the couch, no doubt, but they also require daily exercise to stay fit and healthy. Taking your pet for walks in a park or other greenspace provides enough exercise for many bulldogs, while some will love to have a yard where they can run around to burn off more energy. Remember, of course, that all bulldogs will need shade and plenty of cool water in the warm summer months. And, most bulldogs cannot swim -- so do be careful around bodies of water, and consider investing in a life jacket for your lovable friend.